The alcove fixture consists of a hinged door and a fixed wall into which another hinged door has been attached. 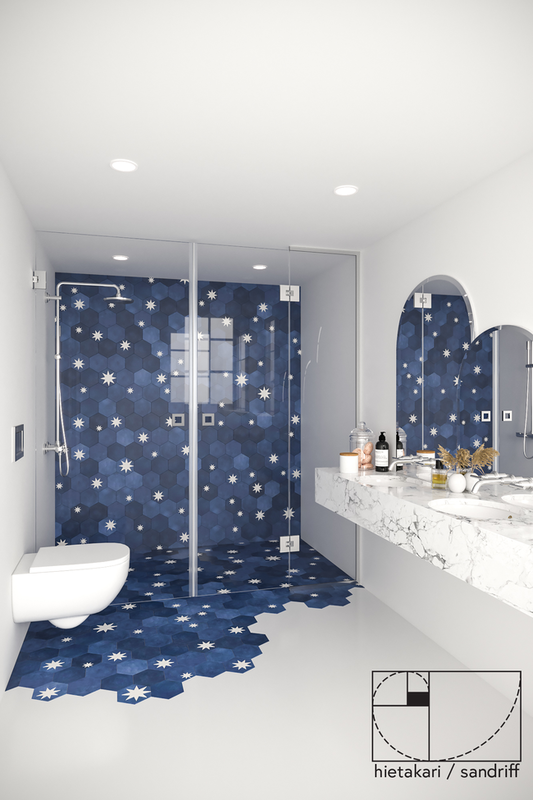 The product is well-suited for a shower enclosure with fixtures located next to it. 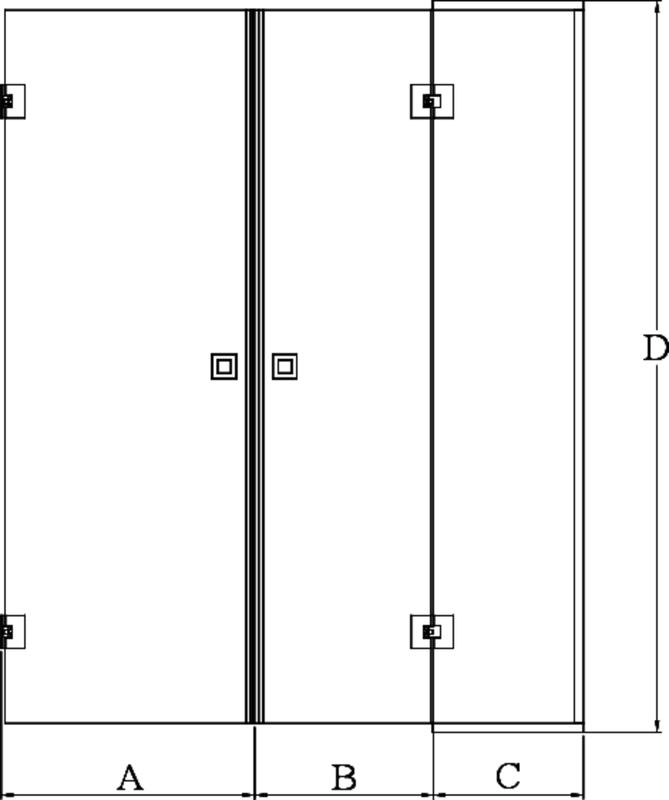 The fixed wall and the doorway can be dimensioned so that the fixed wall protects the fixtures and the doorway occupies the width of the available space space. The doors can be dimensioned symmetrically or so that the doors are of different sizes. When the shower is not in use, the door can be turned in the direction of the building walls. Doors rotate 90 degrees in both directionsand are equipped with adjustable centring. The centring attempts to return the door back to the open and closed positions. A magnet seal keeps the door tightly closed during showering. The fittings used in the product, like square foot and brace bars, are manufactured of brass alloy. Surface treatment options are chrome plated, brass and black painted. The product is manufactured of 8mm thick clear tempered safety panel (EN 12150). The safety panel can be treated in the factory with a Cranith calcification prevention coating. The coating enables the panel to stay clean easier. Shower wall is manufactured according to custom measures. The selected product can be installed into the opening the total width L1 of which is 2100mm and the total length L2 1965mm. The product is supplied as standard with a 28mm high floor seal. The optional accessories are a 50mm high floor seal for shower areas where the floor tilting is higher than normal. The length of the floor seal is 1000mm and it is cut to a suitable length on site. The watertight quality of the product can be improved by installing a shower door threshold under the door. The door threshold is cut into a suitable length on the side and glued to the floor. The height of a shaped threshold is 10mm and its width is 16mm.